The day was not going well for me. I was almost smashed by a wagon, boiled alive, and thrown to my death. I was fleeing from a small band of young boys when I hopped into a random house. A young man was staring down at me intently and looked curious, but seemed rather perturbed. 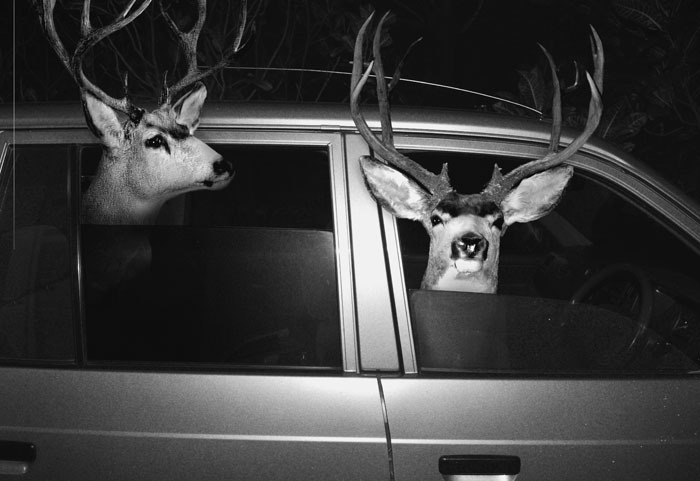 The question: Why was Mr. Seay especially shaken when we hit a deer while driving to work together Tuesday morning? It blind-sided him and so he didn’t see it coming. And yall hurt an innocent animal. He comes from a long line of animal lovers & felt badly for the deer. Also, his cell phone fell out of the car. He had, just an hour before, watched Bambi for the first time. He was scared because the deer could’ve been going to its mom. He had known that deer as long as it lived. He had wrestled with it since it was born. They had just killed the only remaining Bigfoot (able to change forms) he had been hunting one his whole life, trying to catch it alive. As the other slaves finished their evening tasks and drifted away, Akiva emerged from the dimly lit kitchen. “Kiya? Kiya? Are you here?” he called cautiously. From behind one of the magnificent granite columns laced with etchings of hieroglyphics, a slim girl with dark skin and brilliant amber eyes emerged. Her rich linen garment made a soft rustling sound as she crossed the room towards Akiva. “Father thinks that I’ve gone to bed. Have you finished cleaning up from dinner yet? Is anyone still up?” she said, glancing furtively towards the dining room. “No. Don’t worry. I already made sure everyone is gone for the night.” Akiva reassured her. The two walked over and took a seat in two of the highly polished wooden chairs with cushions in the living room. “I do wish Father would let me go outside without all my handmaidens just for a minute… It must be so nice to be free, to go where you would like!” said Kiya dreamily. “No! Please: not this again. I don’t want to leave Egypt. I have a life here. I could make a life for us here.” But she drifted off, knowing that this was merely a fantasy. She was scarcely allowed to step out into the gardens without a score of servants with her. Kiya proceeded cautiously, “But… when the plagues end, I’ll be able to go places again-”. For Students who don’t like to believe in things. It was the absolute worst day of my life. I am a Brussels sprout from Southeast Cuba. Before yesterday I had a good sense of self-satisfaction. A few weeks ago I was picked and sold to a local grocery store with a few of my buddies. We had fun watching little kids avoid our aisle until some fitness creep ventured to our section and grabbed a handful of us while his kids were screaming not to. I was put into a plastic bag for a while until we were taken out, spread onto a pan and thrown into an oven. Thankfully we don’t have lives, so it didn’t hurt. An hour later the creep took us out (I got a sweet tan) and started seasoning us. That night we were served on a table. I watched as we were divvied up between the kids while they were disgusted. This was when my self satisfaction was bombed. The kids cried and whined, gagged and plugged their noses, and cried and whined some more. I was stabbed countless times. When I was finally put into a mouth I felt better – I was being appreciated = when suddenly the kid spit me out in little pieces. At last I was fed to a dog. Wow, someone actually appreciates me!